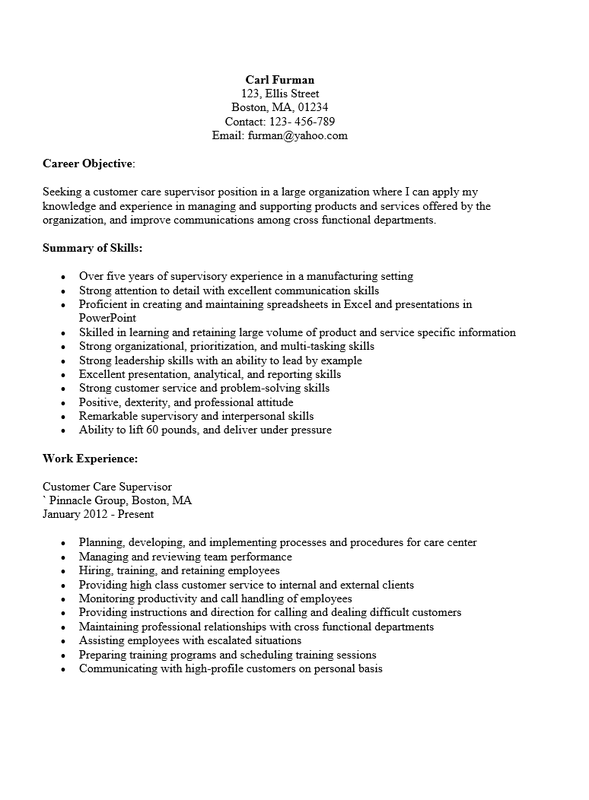 The Professional Customer Service Resume Template facilitates a job seeker’s search for a position by giving them the power to easily revise their resume on the fly. This can be quite a valuable tool, especially if many time sensitive opportunities present themselves in a short time frame. The goal of the Professional Customer Service Template is to provide a job applicant with the means to obtain an interview with a potential employer. An applicant must fill in their information in the appropriate areas. They may revise as needed as often as they like in a much shorter time period then creating several resumes at once from scratch. If a job seeker makes an effort to be accurate, concise, and polished when filling out the various sections they will stand a very good chance of presenting a customized resume to multiple employers at once. Step 1. 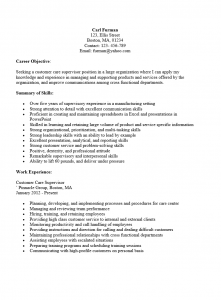 Fill out the top section with the name and contact information of the job applicant. It is imperative the contact information be up to date and accurate. This will be how potential employers reach the candidate. Step 2. Fill out the Career Objective Section. This is an opportunity to show one’s ability to communicate clearly and concisely. State the intention to attain the position and how you will function in that positon or use your skills in it. Step 3. List all the skills in the Summary of Skills Section. Make sure to reread the job description before writing this section. All the skills listed should address the job listing or potentially be relatable to a potential employer’s needs. Step 4. In the Work Experience Section, enter the Company Name, Company City and State, Job Title, and Dates worked on the first line of each entry. Below this, list all accomplishments and/or duties performed for that company while employed there. It is vital this section looks and sounds polished. If having a difficult time, read it out loud after writing it. Step 5. Enter the diploma/certificate/degree earned in an educational institution, name of the educational institution, dates attended, and if applicable coursework in the Education Section. These institutions can be anything from trade schools to colleges. Step 6. If references are available either list them or if doing a mass mailing enter the words ‘Available on Request.’ It is very rare to list the actual contact information on a resume. If done so make sure to check with your previous employer as it may create an influx of inquiries that may not be conducive to maintaining a good relationship with them.